Located in a quiet mews off Islington Park Street, within a stone's throw of Upper Street, with its many cafes, bars and shops. Highbury and Islington station is a five minute walk away with its excellent connections to the Victoria line and Overground. The Angel is a ten minute walk or a short bus ride away. 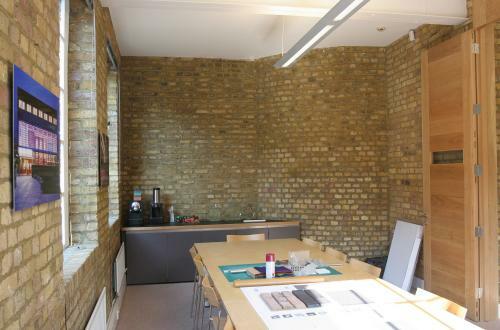 This excellent office is one of four units in a converted 19thC workshop building, with exposed brickwork, inside and out, and steel windows. It is managed by owner/occupiers who can respond quickly to tenants needs. 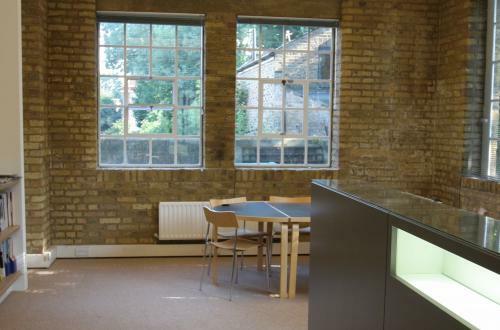 An ideal environment for creative businesses. 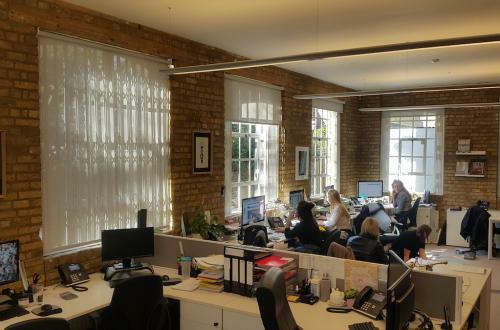 The unit has high ceilings (over 4m) and has windows on 3 sides, providing generous daylight. A stylish meeting room, separated from the main office by a purpose designed oak glazed screen can accommodate up to twenty people. There is also a separate storage/archive room, which could easily be opened up to the main office, if required. Windows are fitted with sliding security grilles and blinds. The landlords take responsibility for the maintenance of the exterior, which has recently been refurbished and is presented in good condition. Carpets will be renewed before the commencement of a new lease. Internal repairs and running costs, such as insurances, security and cleaning are shared by all tenants via a service charge. The property has gas central heating, mains water and electricity. Existing high-speed broadband and telephone lines can be transferred to new tenants. A fire alarm and security system is provided with connection to central station. £32,550 per annum payable quarterly in advance (£2,713 pcm), exclusive rates and bills. A three year lease is preferred and a two year lease can be discussed. The lease is not fully self-repairing as the landlord assumes responsibility for the exterior fabric of the building. The outgoing tenant has advised that business rates are payable at £467 per calendar month. 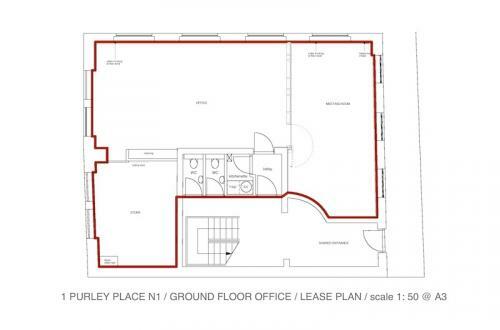 Call landlords to arrange a viewing, Dan Silver 07976 205580 or email us!